A federal judge has tossed a lawsuit (PDF) by an employers’ association that wanted to provide legal services to its members in North Carolina through its own staff lawyers. U.S. District Judge Loretta Biggs upheld the state’s ban on the unauthorized practice of law in a Sept. 19 decision granting the North Carolina State Bar’s motion for summary judgment. 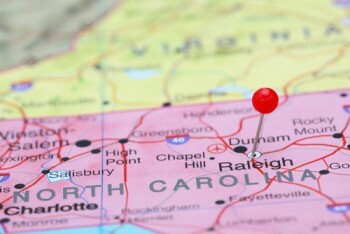 Capital Associated Industries Inc. had sued after the North Carolina State Bar issued a proposed ethics opinion that said the Raleigh-based association’s plan to provide legal services would constitute UPL because of its status as a corporation that is unauthorized to practice law. CAI had argued the UPL statute had no rational relationship to a legitimate government interest and violated the association’s First Amendment rights. Biggs rejected both claims. CAI provides human resources services to dues-paying members. It wanted to provide employment-related legal advice through its own lawyers as part of its membership package. It also proposed charging a separate fee of $195 an hour for other legal services, including the drafting of employment agreements and representation in charges before the Equal Employment Opportunity Commission. Biggs said the statute was related to the government’s interest in in avoiding potential conflicts of interest and loyalty, and in avoiding the impairment of attorney independence. “North Carolina could rationally decide that nonlawyers would be more likely than lawyers to encourage the attorneys whom they supervise to violate the ethical canons that govern the legal profession,” she said. On the free-speech claim, Biggs said the UPL statute is a professional regulation that is not subject to First Amendment scrutiny on freedom of speech grounds. In a June press release, CAI said that, although its challenge to direct provision of legal services was still pending, it had decided to create a prepaid legal plan for its members as part of its membership dues. The press release asserted that the concept had limitations because its lawyers were not CAI staff members.